This book is considered by many as the last of the great nature-printed works. Nature printing dates back to at least as early as the 15th century. At first, the technique employed was simply to ink a specimen, lay paper upon it and apply pressure by hand. In the 19th century, Viennese craftsmen developed a process ‘of passing the plants under pressure between a lead and steel plate making an electrotype from the impression made upon the lead plate. In England, Thomas Moore used this procedure for the plates in his superb The Ferns of Great Britain and Ireland (1857) (taken from Sitwell, Great Flower Books). 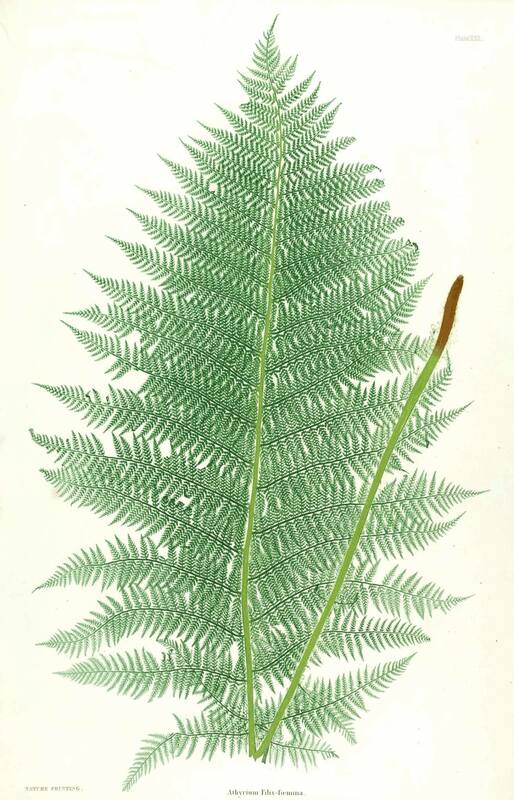 With 51 colour, nature-printed plates reproducing fern specimens at life-size. Collated and complete. Folio. Scattered foxing, otherwise contents in very good condition. Bound in original half-morocco leather binding with spine expertly relaid. One repair to cloth on front board, one to rear board & some light marking in places (a little darker on rear board). Some rubbing to edges otherwise binding in thoroughly very good condition. 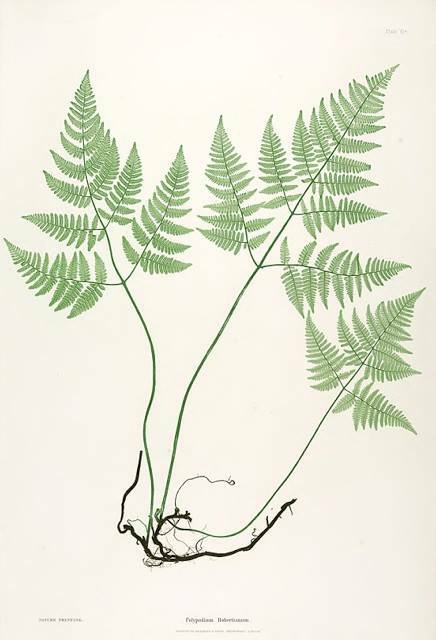 Prov: A.C. Jermy (1932-2014; Botanist, Author & President British Pteridological Society 1982-85). A manuscript letter detailing ownership between 1869 & 1921 is tipped onto the front pastedown. Published in Whitefriars in 1857. A very good copy of this scarce title.